As some of you may be aware, instead of sending out Christmas cards for Christmas 2018, we donated the equivalent cost of £1,620 equally between our 6 chosen charities (Help for Heroes, British Heart Foundation, Macmillan, Alzheimer's Society, Village Water and Wales Air Ambulance). We are delighted to share the replies from the charities below. Thank you so much for your kind donation of £270.00. By donating to Help for Heroes, you're ensuring that those who put their lives on the line for us receive the second chance at life they deserve. Thank you so much for your donation; you really are a life saver! 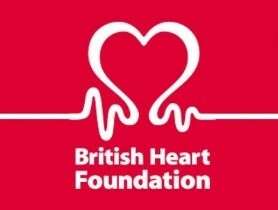 Every pound donated helps us make more research discoveries and get us closer to our vision of a world in which people do not die prematurely or suffer from cardiovascular disease. Your donation powers our research, and research saves lives. We can’t thank you enough for fighting with us against heart disease. Physiological Measurements Ltd, thank you for your £270. Your donation will help Macmillan to be there for people living with cancer and their families, giving them all sorts of support when they need us most. This could be anything from a chat with someone who understands, to providing expert cancer information they can trust. Thank you so much for your generous gift of £270. We are the only UK charity investing in research into dementia care, cause, cure and prevention. We’ve committed to spending £150 million on cutting-edge research over the next decade. Every project we fund directly addresses the needs and concerns of people affected by dementia. We're so grateful for your support. 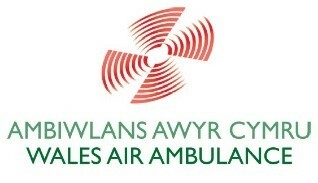 On behalf of all pilots, medical crew, staff, and volunteers at Wales Air Ambulance I would like to thank you for your generous donation of £270.00 in support of Wales Air Ambulance. This is an exciting year for your air ambulance as we have the latest H145 helicopters flying over Wales that are operational 7 days a week, 365 days a year. These helicopters have a larger cabin and more powerful engines, meaning there is a better patient experience and the helicopters can fly for longer without refuelling. Wales Air Ambulance is also your Wales Children’s Air Ambulance which means we take premature and new-born babies to the most appropriate hospital for care, safely and quickly. Thank you again for supporting Wales Air Ambulance. Thank you so much for supporting the Safe Water and Sanitation for All appeal with a donation via the Big Give Christmas Challenge. Your donation of £270 was TRIPLED and because your added Gift Aid it’s worth £877.50 to Village Water! Your gift and Big Give match funding will support 20 people in Mozambique and Zambia with safe water, sanitation and hygiene – life-changing stuff –and match funding from the UK government will enable us to expand our work to Lusaka, Zambia, in a new two-year project. With one donation, you’ve made quite an impact! A huge thank you from all the Village Water team for your support.